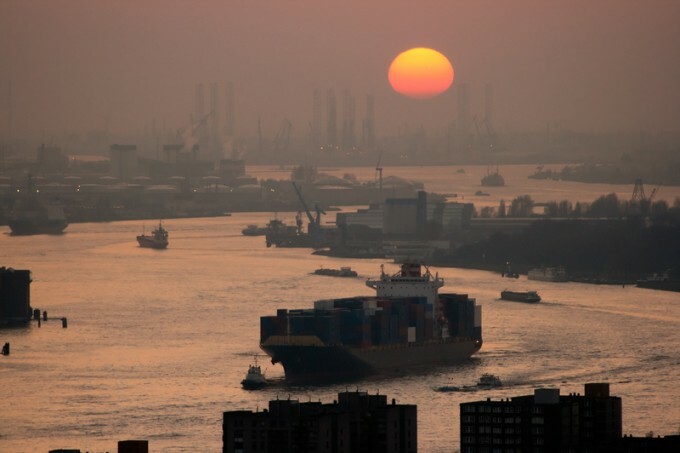 Growth on the head-haul Asia-North Europe trade in the fourth quarter last year was weaker than expected, according to the latest data from Container Trade Statistics (CTS). With December numbers still to come, Drewry said demand growth had “tailed off” in October and November, falling 1.6% and rising just 0.1% year-on-year for the two months, respectively. The data is surprising, given that during the period The Loadstar was receiving anecdotal reports of containers being rolled over and shippers being asked to convert to more expensive, so-called VIP rates to guarantee shipment. “The slowdown in the first two months of the fourth quarter is in stark contrast to the 5% year-on-year gains witnessed in each of the preceding quarters,” said the consultant. Drewry said it had anticipated a “minor deceleration” in the final quarter, but said the extent of the drop-off was “surprising”. During the first 11 months of last year, Asia-North Europe volumes were up by 4.2%, year on year, while the rolling 12-month average shows a lower growth figure of 3.4%. According to Drewry’s data, head haul utilisation levels fell from 89% in September to only 80% in October and November, as carriers appear to have failed to take out sufficient capacity following the peak season. The supply/demand balance was also tilted by the arrival of newbuild ultra-large container vessels, replacing smaller tonnage on the route. Despite these weakening load factors, some carriers continued to put on a bullish front, suggesting they were “running full”. But recent OOCL operational numbers show an early indication that fourth-quarter liftings had fallen away, with its growth rate on Asia-Europe down to 11% from the impressive 25% of the third quarter and 26% in the second quarter. It also explains why there was a collapse in container spot rates in final quarter, as carriers scratched around to top up their ships by discounting. Nevertheless, the disappointing fourth-quarter demand numbers between Asia and North Europe could not detract from an otherwise satisfying year for carriers, following just a 1% uplift in 2016 and a 4% slump the year before. Indeed, Drewry estimated last week that collectively the container lines would record profits of some $7bn for 2017. The consultant also noted that since the start of this year spot rates had recovered to reach their mid-2017 levels, “boosted by the usual pre-Chinese New Year demand rush”. But, it added that it expected the spot rate surge to “peter out post-CNY”, with the extent of the erosion “to be decided by carriers’ ability to manage capacity in what will still be a growing trade”. Meanwhile, in its container update, S&P Global Platts said it expected carriers to hold onto 1 February rate gains on Asia-Europe and the transpacific until after the CNY holiday. Thereafter, like most analysts, it is not certain how to call the direction of rates, but notes that in the short-term, further rate increases have been cancelled and PSS (peak season surcharges) rescinded.